▷ Sunmile SM-G33 Review 2018 » Best Stainless Steal Meat Grinder? The Sunmile SM-G33 with its simple design, this is yet another grinder that is preferred by most people. It is an electric grinder as well with the 400W power and can grind a lot of meat per hour. 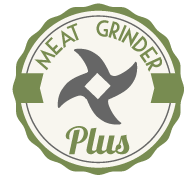 This grinder is perhaps somewhat weaker if we can say so than some others from the list, but it also does its work perfectly when it comes to grinding even the toughest meat. It possesses endurable gears, and you can rest assured it won’t break up easily. With the stainless-steel blades that are also very sharp, it certainly deserves a place on this list. If you are a person who loves to grind your meat, but you run on a tight schedule, this is the model for you. Being an electric grinder, it will surely save you the trouble of doing it yourself, and it will save a lot of your time as well. It can grind any meat and has the power to break it down into the tiniest pieces. If you love vegetables as well, you can grind those too in this grinder. Without any loss of your energy, you will be able to grind meat and vegetables that you can serve to your family. This electric grinder does its work for you, so all you have to do is load it up and switch the button, and it will grind the meat for you. Having metal parts, it won’t break, and the stainless-steel parts won’t rust and won’t leave any unpleasant odors. The grinder also is reported durable because it almost never clogs with the meat residue. It comes with additional parts as well, such as sausage attachment for all the sausage lovers. Aside from that, it also has a kubbe maker, and you can make pasta as well. It is small in size but powerful enough to grind whatever you’d like. Its motor is fast and reliable and can grind large portions of meat in one hour. The grinder also has a circuit breaker as a safety measure to prevent the motor from burning out. Aside from that, there is also a reverse function that will further eliminate any blockages that may appear over time. The product is easy to clean. However, one must not put it into the washing machine, so the cleaning process has to be done manually. Of course, plugging it off when about to clean is recommended. This is an excellent entry-level meat grinder. If you only grind meat occasionally, it’s a perfect choice for you. If you want to grind more often, I recommend a more expensive electric model. This one is a little underpowered, that’s why you need to make sure, you follow all instructions to ensure it works well. Aside from that, many people are satisfied with how it works, and it will be efficient while looking good in your kitchen.